I have always enjoyed meatballs with pasta, but have never been a fan of the work! They are enough work just to put together. Why would I want to brown them before baking them? Too much extra work, and too many extra dishes! 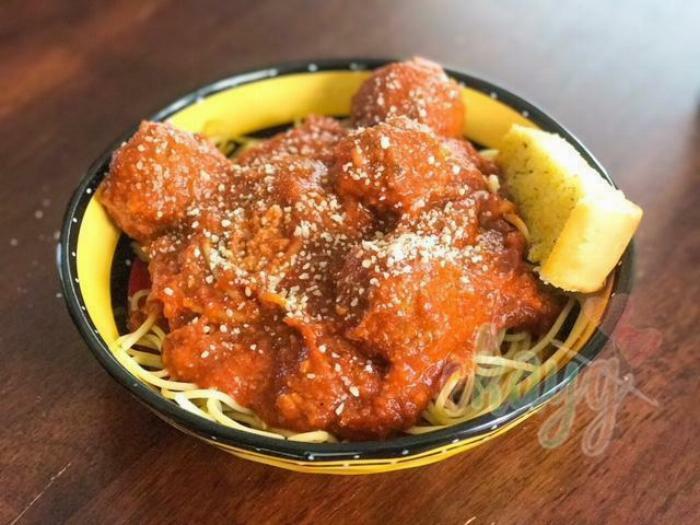 So I created this recipe to be done in 3 simple steps; mix the meatballs, roll the meatballs, cook the meatballs, and didn't sacrifice any flavor to do it! 1Grease or line your crock pot, to keep the meatballs from sticking. 2In a large bowl, mix all ingredients together, BUT the sauce. Really work the ingredients together with your hands until mixed evenly. 3Roll large meatballs, and place gently into crock pot. You can stack them right on top of one another. Depending on their size, you could end up with anywhere from 30-40 meatballs. 4Pour only 1 jar of the sauce over the meatballs, and cook on low for 4-6 hours. 5For last half hour of cooking, pour your second jar of sauce into the crock pot to heat.